A perfect interactive addition to any conference or marketing event. 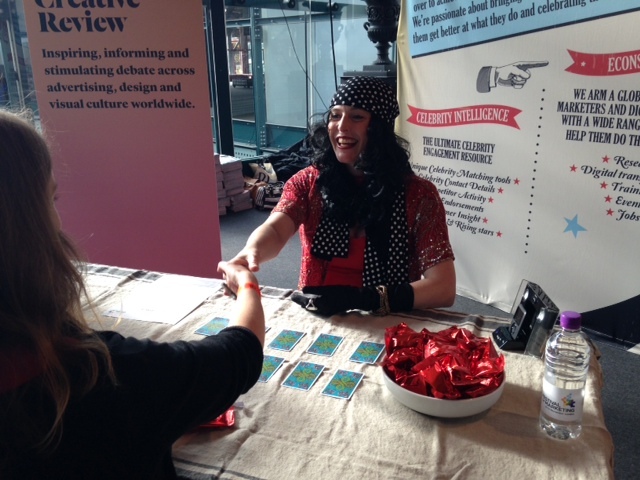 In the guise of a traditional fortune teller Madam Fortuna’s futuristic predictions can be laced with the marketing messages and company ethos of your choice, tailoring her performance to the needs of your conference or event. Madam Fortuna, can operate from a fixed point, or as a mix and mingle. Thanks for arranging Anna for us – she was absolutely fantastic. Such a nice person to deal with, very professional and she really went out of her way to create a brilliant character. 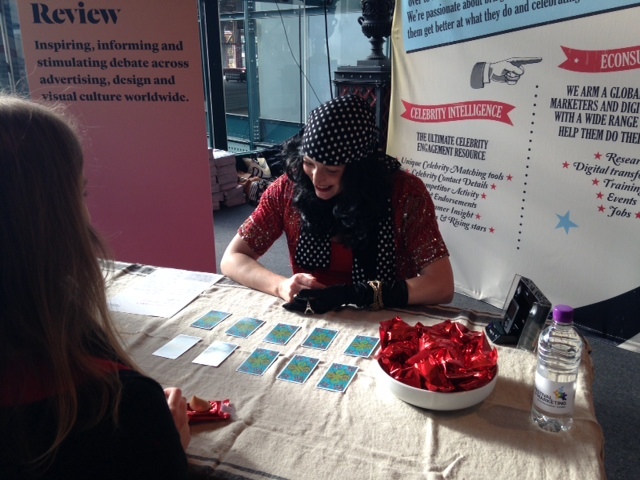 In fact, she was so convincing, that people came away believing she was in fact a real fortune teller! Anna has such a warm personality that people were just drawn to her and it was a real talking point, bringing a lot of people into our room at the event. 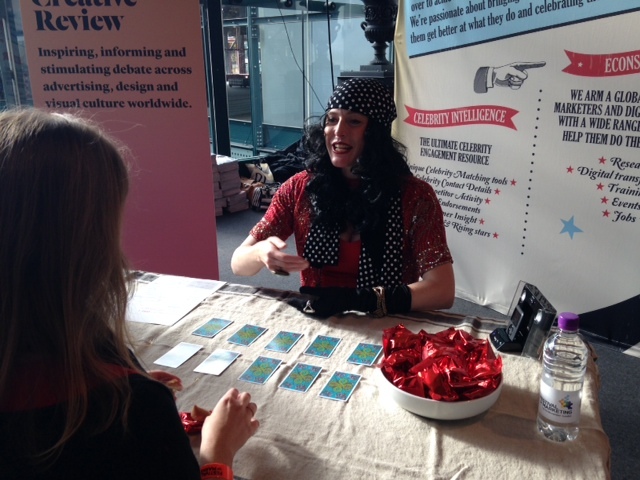 It was always a risk doing something like this at a corporate conference, but it definitely paid off – we had a lot of people coming in to have their fortune told and it was a great starting point for our sales team to speak to delegates. I wouldn’t hesitate to recommend Anna to anyone else looking to do something similar. She was very good to deal with and built a great rapport both with our team and with event delegates.